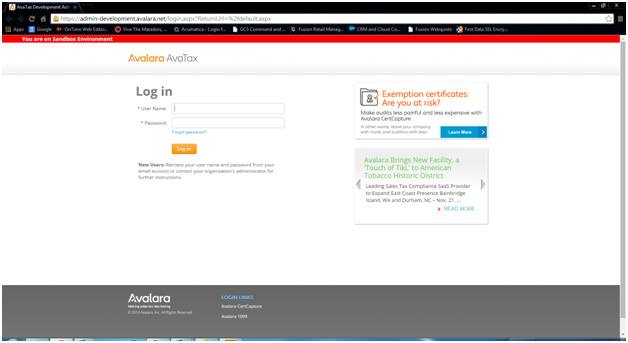 This page will walk you through the process of installing, configuring and troubleshooting the Avalara AvaTax Local and Fusion integration. To use Avalara AvaTax Local with FusionRMS you will first need to install AvaTax Local. If you need assistance with this, contact your Avalara representative for software and download instructions. To integrate FusionRMS with AvaTax Local, please follow the sections below in the order that they are presented. Before setting up the software, please review the notes below and contact a Fusion Installation Specialist if you have any questions. FusionRMS does recommend obtaining two accounts, one for test purposes and one for production. Your test account may well be a ‘Development’ account (which accesses the development address on the web). FusionRMS works in a distributed environment so the installation and configuration of AvaTax Local must be done at each store location. If you are running FusionRMS on a mobile laptop at a trade show or off site please refer to the “FusionRMS Mobile and AvaTax Local” section. You must create one tax code (in your AvaTax account) for each tax class that will be downloaded from your accounting system to Fusion. These would normally include codes for taxable and non-taxable (TX and NT, for example); your system may also include codes for taxable and non-taxable freight, possibly others. Fusion currently passes all freight items to AvaTax with the AvaTax code of ‘FR’; this allows AvaTax to determine if freight is taxable in the specific transaction. ‘FR’ is internally understood by AvaTax, thus, there is no need to specifically create it in your company setup. Once Avalara AvaTax Local is installed you can now configure FusionRMS for use. Open POSAdmin.exe from your main Fusion Directory. Go to Store\Maintenance\Register Class and select edit. Go to the accounting tab as shown below. 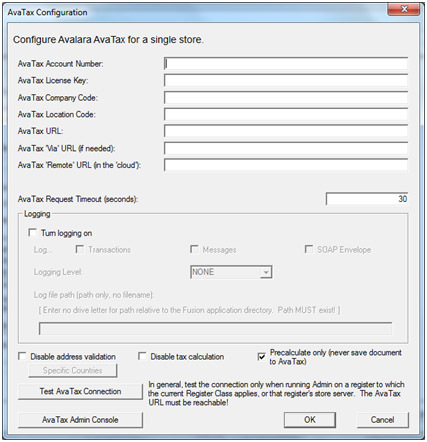 Select “Use external tax subsystem” and choose AvaTax Local from the drop down menu. 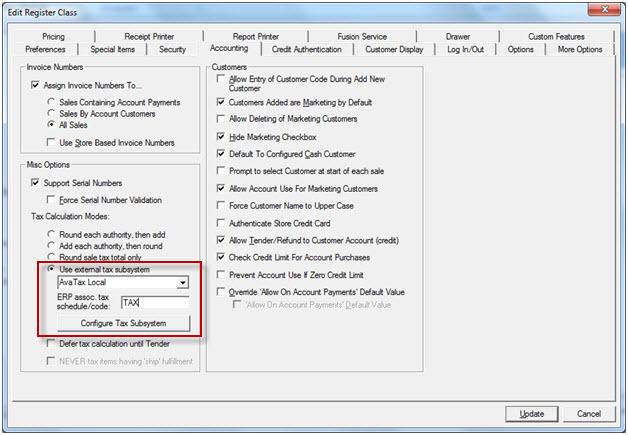 You will also need to enter in your default taxable tax schedule per the ERP solution you will be using. In the example above TAX has been entered. AvaTax Request Timeout (seconds): This will default to 30 and should not be changed unless recommended by a Fusion installation expert. Logging: Check the box to turn logging on and select ‘Transactions’ and ‘Messages’ for new installations. Please note this helps troubleshoot connection issues in the event they arise with new installations. Select ‘Debug’ from the dropdown menu. ‘Precalculate only’ is automatically selected. Do NOT turn this off unless instructed by a Fusion installation expert. Click “Test AvaTax Connection” and when you see the screen below at the bottom click OK.
You should now be configured to use AvaTax Local. 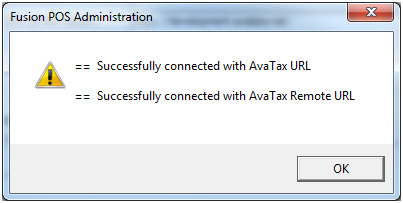 AvaTax Admin Console (shown below): This will take you to the Avalara website to login:https://admin-development.avalara.net/login.aspx?ReturnUrl=%2fdefault.aspx.